Web Design and Database Design. With a proven track record The Fresheverything Team are fast approaching our 10th Anniversary making us one of the longest established Custom Web Design and Qualified Google Marketing Businesses in West Lothian Scotland. 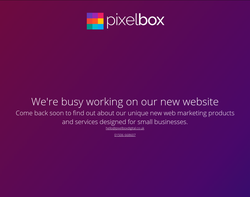 If you want a unique and affordable website that gets you noticed on-line you're in the right place. I'm an approachable and reliable freelance web designer specialized in building bespoke websites for new and an existing businesses. 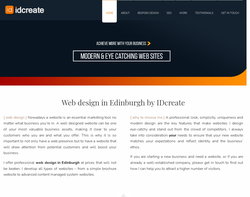 I help creating successful websites for various businesses across Edinburgh, Glasgow, Scotland and throughout the UK. tick Why a freelance web designer I can provide quality websites and SEO that suits your pocket. Unlike other web design companies I do not have huge costs this is why I can provide best possible services at most competitive prices. If you would like to discuss the project - You will always speak to me - not the company's receptionist or a project manager. I will always advise what is best for your project to keep results high and costs down. 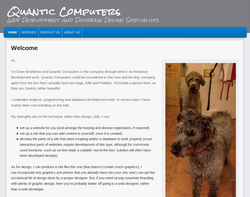 Professional web envelopment, fully accessible websites, Standards compliant web design. Search Engine Optimization and more.